Washington: Ahead of the credit policy review meeting of the Reserve Bank of India later this month, the International Monetary Fund (IMF) has supported the RBI’s monetary tightening strategy for taming inflation. “In economies where such overheating pressures remain high, inflation remains above target and inflation expectations have continued to rise, such as in China, India, and Korea, the current pace of monetary tightening remains appropriate," the IMF said in its Regional Economic Outlook for the Asia-Pacific. With the rise in key interest rates by 350 basis points over the past 20 months resulting in a slowdown in industrial output, there has been a widespread demand for a pause in the rate hikes. 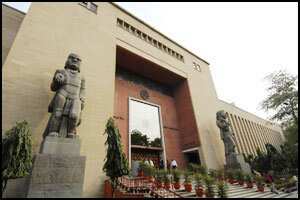 The RBI is slated to conduct its second quarter policy review on 25 October. “Inflation has been driven by commodity prices, but also in many economies by sustained demand pressures," the IMF said. It said that commodity price rise has fed to generalized inflation in countries like the Hong Kong special administrative region, India, Indonesia, Korea, Malaysia and Thailand. “Inflation expectations have also risen since the first quarter of 2011 in a number of economies," it said. The report further said that Asian economies are facing a rising risk to growth on account of increased financial worries in the euro area and the growth slowdown in the US. The multilateral lending agency projected that GDP growth across Asia would average 6.25% in 2011. “Asia remains vulnerable to further trade and financial shocks given its high degree of integration," the IMF said, adding that the risks for Asia are decidedly tilted to the downside. “In addition to a drop in global demand for Asian exports, foreign investors could retrench from the region, reversing their large positions. European banks could reduce cross-border lending, causing credit flows to dry up," the IMF said. In the World Economic Outlook report released last month, the IMF projected that India’s economic growth rate would moderate to 7.5-7.75% this fiscal from 8.5% in 2010-11 on account of slowing investment and the sluggish global recovery.